“Timrai Yadma” is a New Nepali Pop Song by Jiten Lepcha. 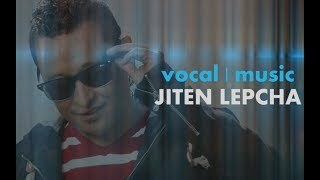 Jiten Lepcha is the singer as well as the composer of the music. The Lyrics of the song is scripted by Aakash Karki and Phanindra Rai is the arranger of the song. The Models starring in the Music Video are Badal and Babi. Bhupendra Subba is the man behind the Camera work and editing process of the Nepali pop song is done by Om Prasai. The entire music video is directed by Max Bayoung. The Music Video is Post Production under King Rose Entertainment.